This sounds like a lot of fun, even though Speculative Fiction isn’t my strong suit. Would you care to join the fun? 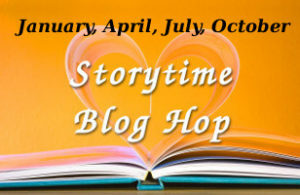 Storytime Quarterly Blog Hop on January 30, 2019. Speculative Fiction Short Stories up to 1000 words including SF genres science fiction, fantasy, science fantasy, horror, alternative history, and magic realism. Paranormal and supernatural stories welcomed and/or romance, mystery, thrillers with those elements. Read the Rules & Guidelines to learn what to do. Remember the deadline for Submitting Story Links is January 25, 2019. Join the fun as a participant or reader. Read stories from authors around the globe. Join Us!